Well, here it is! 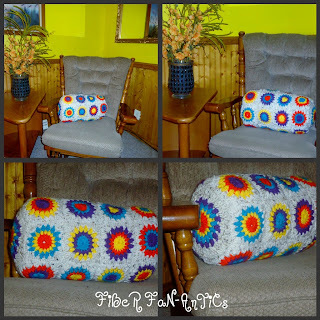 What do you think of my "Burst of Granny Bolster Pillow"? 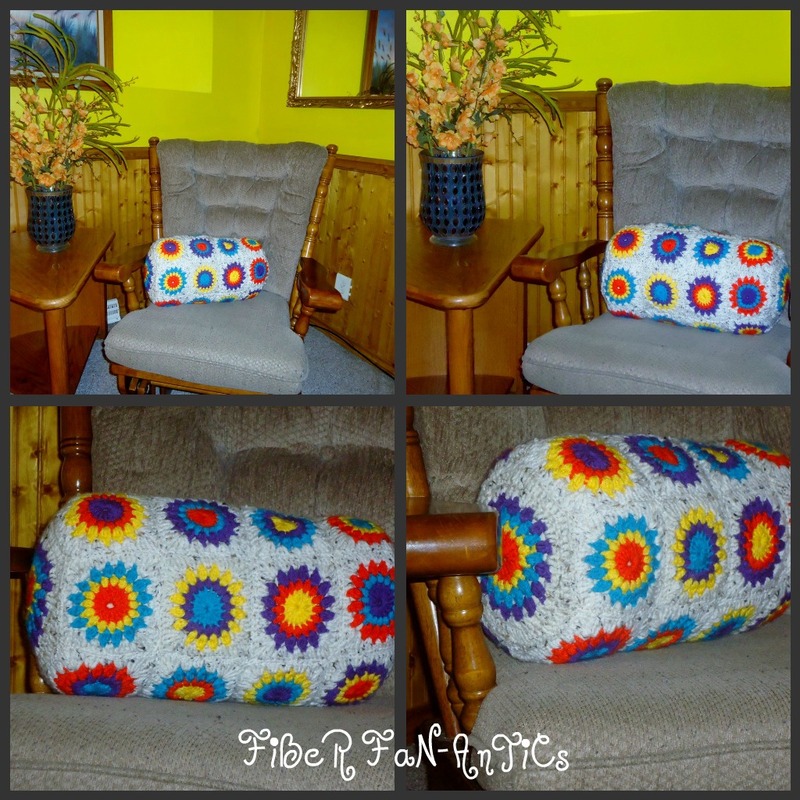 When I first began this project I was set on making a standard couch/chair pillow. The what if happen and my pillow magically changed shape overnight. Before I assembled the end caps to the main body I lined everything with a lightweight wool fabric, something that would stretch a little while being stuffed. My teenage daughter has already requested that I make two for her bedroom using black, instead of the light color, for the background. I can't wait to see all the other projects I make as my crocheting skills improve!